Aiming to develop a useful and applied text for students in post-graduate construction programmes, five authors work together. They all have a wide experience in the construction industry; in fact, this book is based on their previous experience in several Leonardo da Vinci projects financed by the European Union. 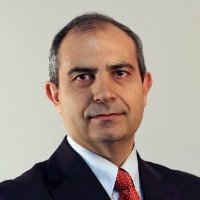 Four of the authors develop their main task as professors in two different universities: Eugenio Pellicer, Víctor Yepes and Joaquín Catalá at the Universitat Politècnica de València, and José Teixeira at the Universidade do Minho; Helder Moura works for the Portuguese Highway Agency. Each author has led those chapters in which they can add more value to the work due to their professional and academic practice. Nevertheless, all of us have contributed to the whole. Every chapter begins with educational objectives that allow the reader to know in advance its focus. Furthermore, it includes many cites in throughout the text in order to provide clues to post-graduate students in key issues that can allow them to deepen their knowledge. Other recommended books for further reading are also indicated at the end of each chapter. European examples, best practices and procedures are incorporated using “boxes” in the text. Furthermore, figures and tables try to clarify the main concepts for the readers. The book is organised into fifteen chapters as follows. Chapter 1 introduces the construction industry in general. This chapter also gives data on construction in the European Union and presents the construction company, including some of their traditional organisational hierarchies, and the link between the firm and the construction site. Chapters 2 and 3 examine the contractual documents and the different agents that appear in the construction phase, including the ones associated to relational contracts. Administrative and technical documents of the design phase and tendering documentation are also analysed, as well as the main phases of the estimating process, during the bid preparation. Chapter 4 introduces other interesting issues such as communications, negotiation, information flow, documentation and record keeping; it develops the daily logs, the reports, the diary and the meetings, paying particular attention to building information modelling. Chapters 5 to 8 explain basic issues related to the execution of works, such as: site setup and planning (5), machinery and equipment (6), productivity and performance (7), and quality management (8). Chapter 5 considers constrains of the site and the equipment, storage of materials, temporary facilities, auxiliary works, jobsite offices and jobsite security. Chapter 6 takes into consideration the selection of machinery, the calculation of its cost and, finally, the machinery maintenance. Chapter 7 presents the study of works, techniques of work measurement, equipment performance and productivity assessment; the concept of benchmarking is explained here too. 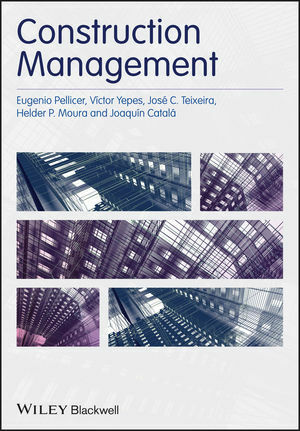 Finally, Chapter 8 explores the quality management processes at the construction site; this chapter also deals with innovation and knowledge management processes in the construction organisation, relating them to quality management. Chapter 9 is focused on health and safety in the construction site. Taking into account the European Union directives, the general principles of prevention and the involved agents and their duties are explained. Site specific safety plans and incidents during the execution of works are also considered from the point of view of the site manager as well as the owner. Chapter 10 shows the environmental management at the construction site; the issue of sustainability is also explained; construction and demolition recycling is explained in detail. Chapter 11 analyses the supply chain management in construction, introducing the lean construction approach. Chapter 12 is the longest in the book. It describes resources management, investigating the scope of activities, the assignment of resources to activities, their sequence, duration and monitoring. It develops the bar and network diagrams, cost of resources and cost control. Subjects such as the last planner system, the earned value method, value engineering and risk management are explained too. Chapter 13 focuses on progress payment procedures. Chapter 14 considers changes and claims during the construction phase. Finally, Chapter 15 describes the closeout process of the construction works and also the construction contract, analysing the commissioning procedures, handover and occupation; it also introduces the operation and maintenance manual and the as-built documents. Our gratitude also goes to our former, present and potential students who have allowed us to develop, in different ways, the materials of this book. We want to acknowledge our families for the time we have spent preparing the book instead of enjoying their company. We would also appreciate any comments that help us to improve the manuscript in future editions.